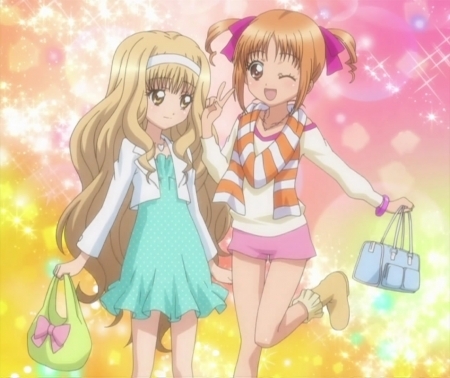 Rima & Yaya. . Wallpaper and background images in the shugo chara club tagged: rima yaya screenshot. This shugo chara photo might contain anime, banda desenhada, manga, desenhos animados, mangá, and quadrinhos. this picture is so cute!!!! this picture is so cute!!!! KAIWII!